More than 6% of crashes on UK roads are the result of ‘lane change’ manoeuvres, causing vehicle damage in excess of £437 million each year, according to new research by Accident Exchange. The study, conducted by the leading accident management company, of more than 50,000 accidents also shows the number of ‘lane change’ collisions have risen by 48% in just two years. 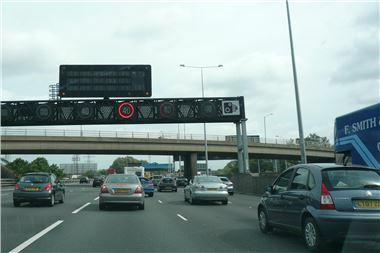 The new Accident Exchange data suggests annual lane change accidents now top 152,000. The average cost of each accident is approximately £2,876 in repairs, which excludes the financial impact on emergency services and the lost labour hours from dealing with garages and insurance companies. There were an estimated 2.5m accidents in 2010 on UK roads. Department for Transport figures show that simply failing to check for another vehicle is the most frequently reported contributory factor (38%) to an accident. Poor all-around visibility from large door pillars can make matters more difficult still. In the majority of incidents, the ‘at fault’ party moved from the right to the left, striking the driver’s side of the innocent motorist’s car. “The sharp rise in drivers seemingly unaware of the presence of another vehicle in an adjacent lane is pretty startling,” said Lee Woodley of Accident Exchange. Last year, Which? Car compiled a list of the best and worst cars for visibility in which the Smart ForTwo Coupe came top, and the Porsche Boxter came last. The Accident Exchange research was based on 50,000 claims handled between 2009 and June 2011.